In order to determine how good a given creature is, as well as how effective a removal spell is, we need to know the typical power and toughness of creatures in the format. This spreadsheet uses the Must Kill breakdown from my initial set evaluation along with the expected number of cards at each rarity level to determine how likely a creature is to have a given power and toughness, and how likely that creature is one that you really have to get off the battlefield. As mentioned in that post, the Must Kill classification does not automatically include large creatures with flying (or other forms of evasion) since you can neutralize them if you have a large flier or spider. 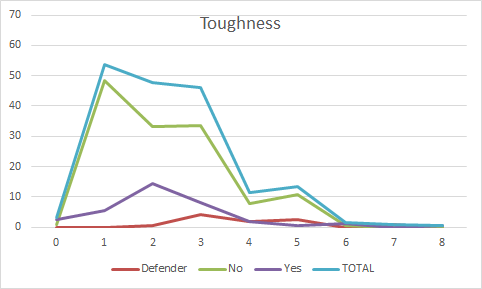 Here are the percentage of creatures with power/toughness less than a given number. 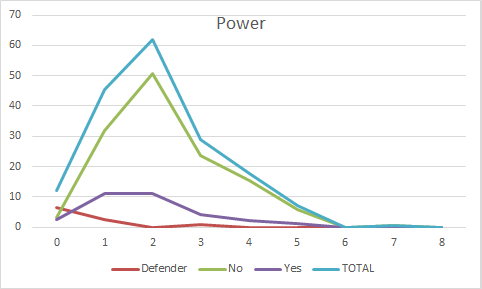 And here are the percentage of Must Kill creatures with power/toughness less than a given number. Removal that kills 1-toughness creatures can kill a quarter of the Must Kill creatures and a third of all the creatures in the set, so it is more useful than in other formats, and perhaps even maindeckable. (I will explore this in more depth in a future post once we have evaluated most of the creatures whose quality is TBD.) Removal that kills 2-toughness creatures can kill about two-thirds of all creatures in the format, Must Kill or otherwise, and so is definitely maindeckable. Removal that kills 3-toughness creatures hits about 90% of the creatures in the format. Great charts! I’ve been wanting to make something like this for awhile now and am glad to see someone is putting the info out there. Well done.